Turkey intends to buy US Marines Harrier aircraft while planning the F-35B. According to janes.com, Turkey is considering to buy an unknown number of Harrier aircraft to fill the time gap until the delivery of the F-35B short take-off/vertical landing (STOVL) version of the JSF. Turkey recently expressed to the United States its interest in the F-35B, in addition to the 100 F-35As already planned to buy from Lockheed Martin. Whereas the Turkish F-35B is still under evaluation, a long time will pass before the delivery of the aircraft. Turkey has never hidden its interest in the STOVL variant of the Lightning II, when during IDEF 2015 it showcased a model of the future Turkish Navy Landing Helicopter Dock (LHD), on the flight deck were placed F-35Bs. The Janes' news reports that Turkey first intended to buy Harrier from the UK, but then turned to the US Marine Corps aircraft because the RAF dismissed the Harriers a long time ago. Rather, UK has sold its 72 retired Harrier VTOL jets to US in 2011. The RAF Harriers, which were retired in 2010 as part of defence cuts, are currently used as a source of spare parts for the USMC Harrier fleet. 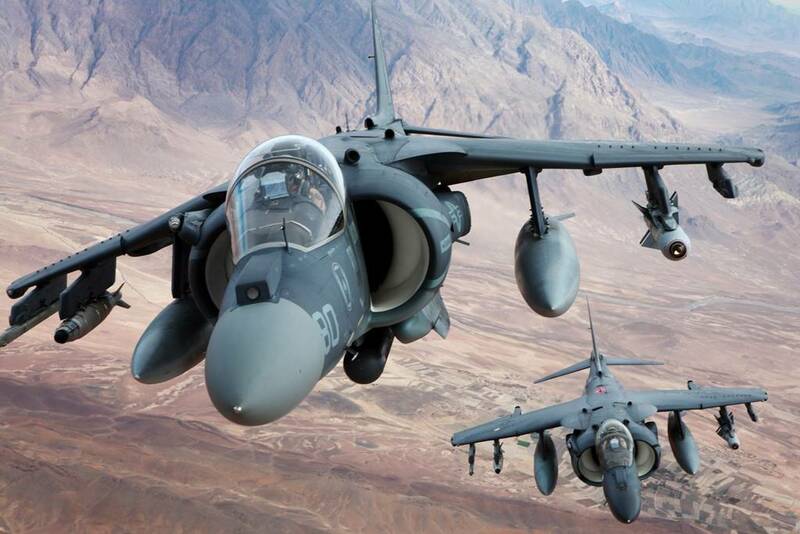 The US intends to extend the service life of the Marine Corps' Harriers until 2030. In 2014, the US Marines were committed to retiring the AV-8B earlier than planned and extending the Hornet fleet, however, after an intensive review of the Harrier fleet and the rapid aging of the Hornets, the Harrier will be around longer than it was expected to be a few years ago. The Marine Harrier is now spending its "Golden Years" and considering that the many past accidents have reduced the fleet, an aircraft surplus is unlikely.